I finally finished Dante’s Comedy the fourth and final book for the Really Old Classics Read challenge http://reallyoldclassics.wordpress.com/join-the-challenge. Thank you to rebeccareid of http://reviews.rebeccareid.com for hosting the event. This was a great excuse to brush off some older books I have been meaning to read but never got around to. As part of the challenge we were asked to not only pick books written before the 1400s but to find a retelling of a classic. I choose to read To Hell and Back, a Modern Reader’s Guide to the Divine Comedy along with my favorite translation by Robert Pinsky. I fell in love with Dante back in college when I took an introduction course in humanities. The class should have been titled A journey with Dante as most of the course centered on his epic poem. My professor Mr. Hubart was one of those rare teachers who not only taught old text but also taught his students to love old works, especially Dante. We took field trips to old Catholic Churches in order to understand the symbolism in Dante’s words. We were lucky enough to see a Dante exhibit at the San Francisco De Young Museum. The exhibit included paintings and sculptures all based on the 9 circles of hell. Each piece of work hit me in different ways, ways I cannot fully articulate. As a young impressible girl I studied the pieces trying to understand the beauty and sadness in each. I had hoped that someday I would be able to own a few of the pieces but try as I might; I have never seen them again. 20 something years later I can still vision them in my head. Over the years I have collected translations of Dante’s work as well as a very old biography on the poet. The poem and its deep meaning are always with me. Now that I am middle age and struggling with my identity the beginning passage “Midway on our life’s journey, I found myself in dark woods, the right road lost” hits me more than it did when I was 19. I am now at the midway point in my life and feel more connected to the poet and poem than at any other time in my life. I felt now would be a good time to not only re-read the poem but read a modern guide to help me better understand it. Joseph Gallaher writes in the preface that he wrote To Hell and Back “to help modern readers master Dante’s masterpiece”. I had hoped this would be the case, but sadly I feel this guide is lacking in spark and well, guidance. Gallaher said he spent 17 years studying the poem yet the guide is a quick rundown of each Canto (like a chapter but shorter) much like Cliffnotes or Sparknotes would do. What I was hoping for was an analysis into the poem’s deeper meaning, much like Professor Hubart would give. I was disappointed with the lack of depth in the guide, because in order to fully appreciate the poem one has to look beyond the written words. For those of you who do not know much about the poem let me explain. The poem is a fictional account of Dante’s journey into hell, purgatory and finally the lower part of heaven. Dante is middle age and seems to be “lost”. A woman named Beatrice (the love of this life) sees him from heaven and taking pity on him, asks the Greek poet Virgil to be Dante’s guide through the otherworlds. 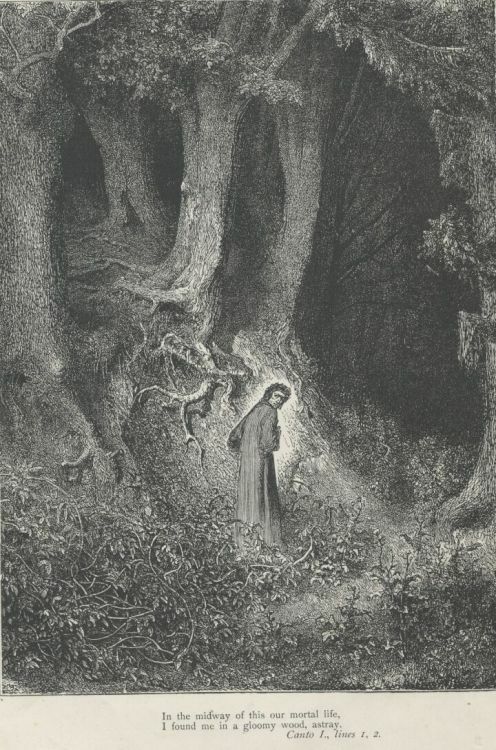 This journey is Beatrice’s way of saving Dante and allowing him to attain grace. Along the journey Dante meets people from his home town of Florence, long dead poets, famous sinners and a few biblical prophets. Almost every word in the poem has been carefully chosen and has more than one meaning. Dante quotes the bible in order to drive a point home. If one does not understand the biblical passage, the point is lost. In order to fully understand the poem the reader must learn something about these people, otherwise their punishment or reward will make little sense. Understanding Catholic symbolism is a must, as well as old Christianity dogma. Gallagher does explain the basic premise of each Canto and introduces the modern reader to the characters in the poem, but never explains why Dante choose these people or why he chose certain biblical passages as part of his poem. Reading Gallagher’s guide did offer some help but honestly just made me miss my old professor even more. I will recommend the book to those who have never read Dante’s work but would like to try. Just be warned, that though Gallagher tells us this is one of the greatest pieces of works ever written, he lacks the talent that would have the first time reader coming away fully understanding why this is so. Hi, Sari! I'm one of those people who shy away from Dante because I fear that it may be too "intellectual" for me. However, since you mentioned that you had a great time rereading Dante's works, I think I'll be giving this one a try. After all, I'm hoping to read more classical works next year! Hi Peter,Oh I think you could tackle Dante. I always recommend some type of guide for first time readers though. I still have my Cliffnotes from college. Gallagher does offer some useful background information on the poem, so you might think about getting the book. For more reviews of classic books I would recommend heading over to the Classics challenge. There are some really great reviews linked to the site.Happy reading! I need to start reading this, as you know my daughter loves Dante so I have to catch up, I suspect the catholic education will come in handy reading this one. I am so glad to hear how much you love Dante! I have not read it, or any part of it, and I am not familiar with Catholic symbolism and all that, so I'm a bit worried I'd be able to get through it. But some day I know I will!I think I may have to go for the Longfellow, thanks for the translation suggestions!And thanks again for joining the challenge! You are on the ball! Next Next post: Sari’s 2009 favorite book list.